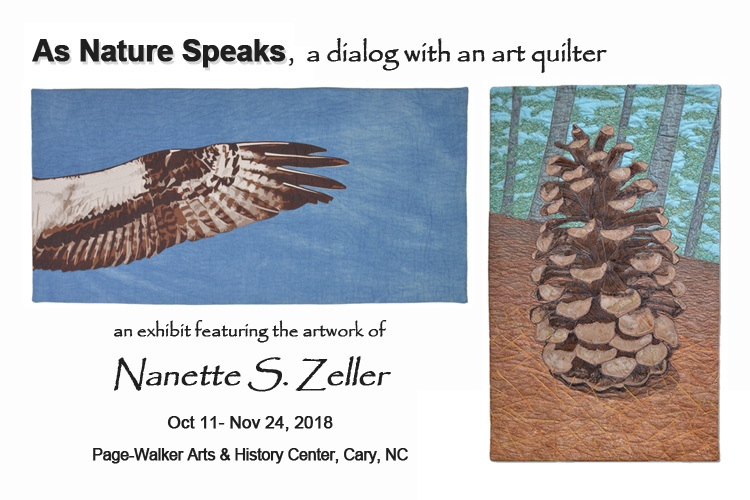 I n a heartbeat more than a week, my exhibit “As Nature Speaks: a dialog with an art quilter” will be open to the public (details below). This 2-year journey has been a challenge, life altering, and most definitely a learning process. In my career I have produced a good number of art exhibits, but usually as the manager guiding other’s to the final reward. This is the first time I am wearing all the hats (manager, publicist, creative director, artist, etc.). This is both good and bad. The good is I have license to prepare every detail of this exhibit in a way that reflects me. This also leaves the bad, because there is no one to help (or blame) when things don’t go as planned. I’m in a good place with preparation. When life did get crazy, I am so very grateful to have an experienced friend to confide in. We had many conversations where solutions were easily found. Everyone should have such a good friend. It’s been a long summer and I’m looking forward to its end. There will be a day soon, when I’ll look back and feel the triumph of successfully completing one more milestone. I am always thankful to learn something with each new challenge I take in life. But, I’m also always looking forward to what’s next? Congratulations! I hope you enjoy the rewards of all your hard work. I wish I was down there to come see it. Your work is amazing, beautiful and breath taking. Congratulations again. Thanks Pat! I appreciate your kind words. I wish you could be here too. It’s been a long journey to get here. So happy for you Nanette-congratulations! I wish I could see it in person. All that work will pay off-bask in the glory! Thank Jenny! I wish you could see it too. Once its hung, I will take your advice! Way to go! What you have accomplished in this last year is amazing. Your focus and creativity is unparalleled. I’m anxious to see your SOLO show at Page-Walker. 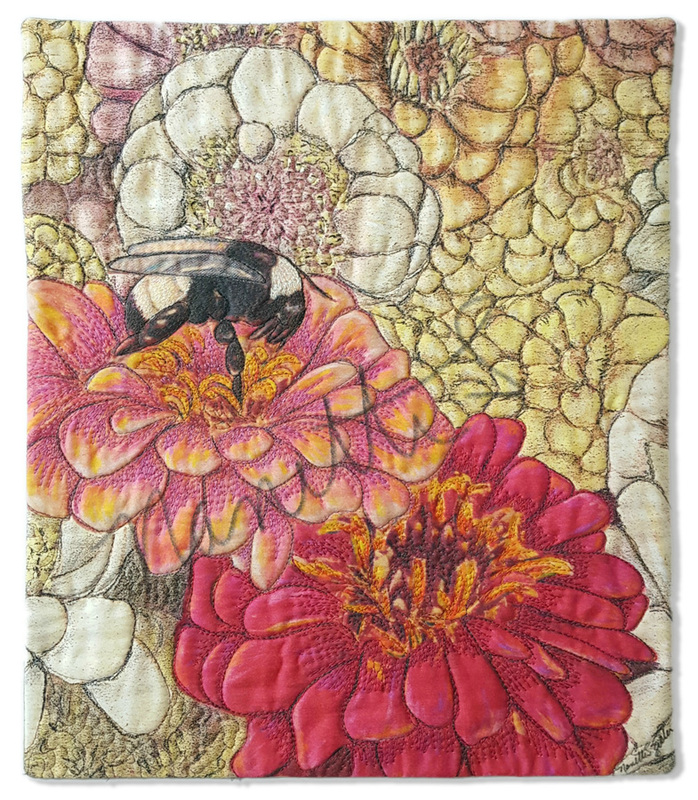 I’m going this week with friends and hope to see you at your artist reception. I look forward to seeing you too!